The TechRadar team is so excited about the new Xbox reveal that none of us have slept all week. Seriously, we should probably seek medical help or something. 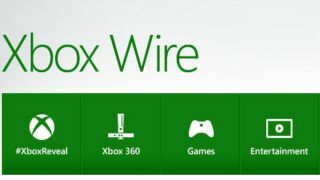 And it looks like the next few days will be much the same as Microsoft has just launched a new blog, Xbox Wire, which we'll be refreshing manically for any possible early hints at what's coming on May 21. A post on the site by Editor Lisa Gurry says "a new generation of games, TV and entertainment" is coming our way, but there's not much else for the time being. Microsoft, you tease.